The CPS surface grinding machine was designed and developed for the grinding of sealing surfaces (like those between cylinder head and cylinder liner, or between cylinder liner and engine frame), though it can also be put to use in several other applications. Already within its standard operation the CPS can make your diesel engine more efficient and also increase the lifespan of said engine and the duration between expensive though necessary maintenances. 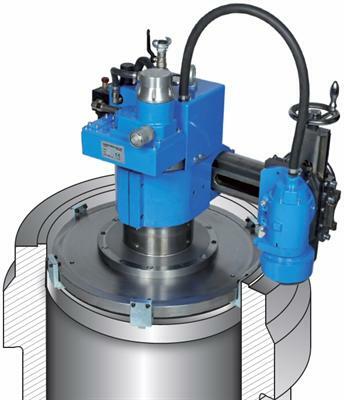 The machine is easily utilized by a single operator; it is available in both pneumatically and electrically driven versions and due to the interchangeable grinding and milling heads makes for an extremely versatile tool.